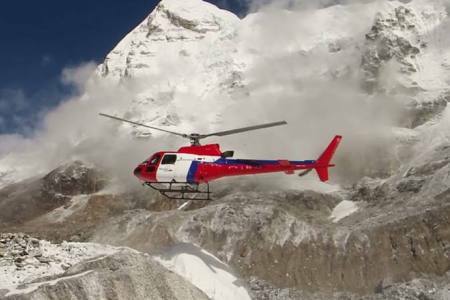 Kailash Mansarovar Heli tour is the one of the exciting, panoromic and holy tour that begins and ends at Nepalgunj airport. We fly with tiny aircraft to Simikot from Nepalgunj after reaching to Nepalgunj from Kathmandu and again take chartered Heli flight to Hilsa, near Tibet. 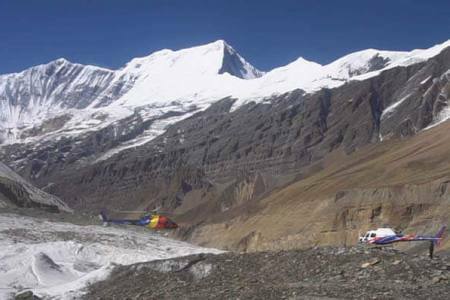 The helicopter tour is not mean that we take you direct Manasarovar and Kailash by Helicopter. Tibetan government do not allow any fly over their land, after crossing immigration, a vehicle from Tibet will take us up to Manasarovar and back again at border side and fly back to Nepalgunj. 5 days Kailash tour by helicopter do not include Mount Kailash Parikrama but stay a night at the bank of Manasarovar. We reach up to the valley of the god which is known as Yamadwar and return. Mount Kailash is the very clear view from Manasarovar and from Yamadwar. 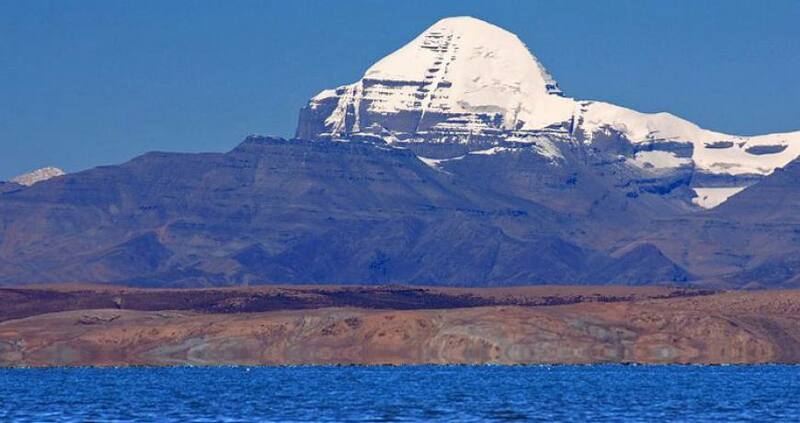 Peoples can perform their activities from Lake Manasarovar with Mount Kailash view. If you want to include your Kailash parikrama in the same period, we can offer you another itinerary of Kailash Tour by Helicopter coming from Lucknow or Kailash Tour by Helicopter from Kathmandu. Day 02: Fly to Hilsa and drive to Taklakot/ Purang (3400m). Overnight at Guest House. Day 01Arrive at Nepalgunj from Kathmandu and transfer to Hotel (150m)After arriving at Kathmandu international airport, our office representative will pick you up and transfer to the hotel. Evening in Hotel group briefing about the Kailash yatra by Helicopter. Twin share basis room . Dinner at hotel. Day 03Drive to Manasarovar (4550) Overnight at Guest HouseDrive to Tibetan plateau dry desert, today we need to drive all the way uphill till 4550m. Along the way scenic view of Taklakot Valley, Tibetan nomads with large scale of caravan 'Yaks, Goats, Ships and horse' Cross Gorla pass where you can see great view of Mt. Gorla Mandata. Visit Rakesh Tal and first view of Holy Kailash form there. Drive to Hor Tsu along the Mansarovar lake side village. Take holy bath on lake, puja and hawan, kale parikarma by bus. Stay on Hotel. Lunch/Dinner/ Breakfast. Day 04Drive back to Puran/ Taklakot. Overnight at Guest houseDrive about 90km in Tibetan plateau dry desert, today we need to drive all the way uphill till 4550m. Along the way scenic view of Taklakot Valley, Tibetan nomads with large scale of caravan 'Yaks, Goats, Ships and horse' Cross Gorla pass where you can see great view of Mt. Gorla Mandata. Visit Rakesh Tal and first view of Holy Kailash form there. Drive to Hor Tsu along the Mansarovar lake side village. Take holy bath on lake, puja and hawan, kale parikarma by bus. Stay on Hotel. Lunch/Dinner/ Breakfast. Day 05Fly back to Nepalgunj and return to Kathmandu by Heli Get ready for Helicopter fly to Simikot to Nepaljung than fly back to Kathmandu or Drop to Indian Border (Those yatri who want to drive overland to Indian border we drop to Indian Border form Nepalgunj. Those who fly to Kathmandu stay on Hotel in Kathmandu) Brakfast/Lunch and Dinner.